Hi and welcome to PowerPoint Speak Easies Volume 3! 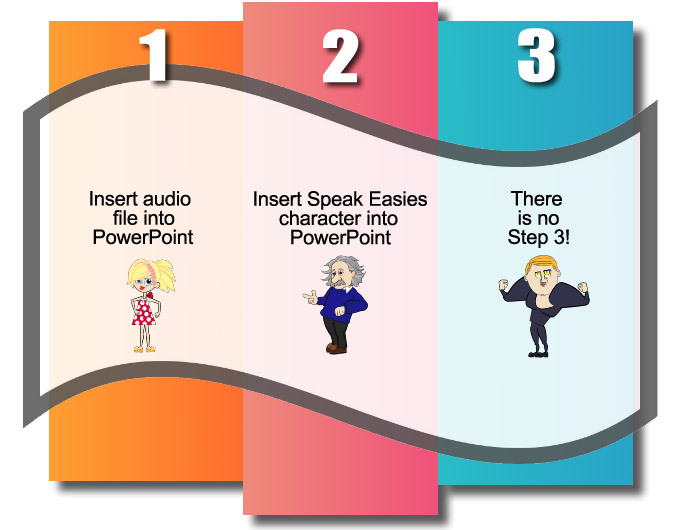 Important Note: The demo video above uses characters from Speak Easies #1 that are not included in this Speak Easies Volume #3, but it should give you some great ideas for using Volume #3 in your PowerPoint videos. PowerPoint Speak Easies Volume #3 are very inexpensive and a great value for any and all video marketers. Here's a quick one minute video that shows how easy it is to add an audio voice over to PowerPoint and have Speak Easies #3 "speak" to your audience. Important Note: The demo video above uses characers from Speak Easies #1 that are not included in this Speak Easies Volume #3.
your Speak Easies Volume #3.